K.W. Janaranjana, Editor in Chief of the left-leaning weekly newspaper ‘Ravaya,’ submitted his resignation this morning (January 24, 2018), following undue pressure from his predecessor, founder editor of the paper and Chairman of the media outfit, Victor Ivan. Colombo Telegraph learns that Janaranjana’s position was rendered untenable due to the parochial ways of Ivan who continues to wield power although officially in retirement. 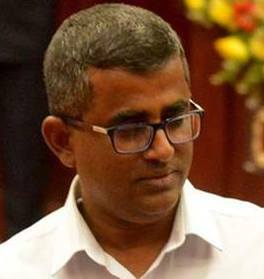 Ravaya sources told Colombo Telegraph that Ivan is due to address employees at 2.00 pm today at a meeting that has been choreographed to have non-journalist staff loyal to him request that he take over as Editor once again. Ivan and his supporters have charged that Janaranjana has approved unnecessarily large amounts of money to cover the expenses of journalists. Sources say that Ivan had on a previous occasion called for Janaranjana’s resignation. Janaranjana is said to have been relieved of administrative responsibilities prior to him submitting his resignation. Sourced add that journalists loyal to Janaranjana may also resign shortly.